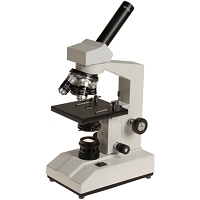 The Zenith ULTRA-400 V.2 series are purpose built teaching instruments finished to a very high standard, combining excellent optical performance and a very reliable, modern, user-friendly design with a mechanical construction designed to withstand the rigours or everyday heavy classroom use. All models feature high quality DIN standard optics, anti-tamper safety features included locked on eyepiece and stage clips, slip clutch on the coarse focus movement to prevent over focussing and an adjustable focus stop to prevent damage to glass microslides and objective lenses. Highly recommended.